The other night I was watching a CG-animated Netflix children’s fantasy with my family. It featured many of the tropes one might expect for such a story — the true meaning of friendship, the difficulty in constantly moving homes, living in a broken family, the importance of finding courage in yourself. Oh yeah, and an act of genocide on an unspeakable scale. This got me thinking about extreme ideological polarization in regards to the socio-political situation the Western world finds itself in as of late and especially the social polarization that arose under the Obama administration. It occurred to me that many of the twenty-something activists today would have been raised on a large dose of just such ‘us good, them bad’ stories where the ‘good’ side wins by absolutely destroying the ‘bad’ side. Such children’s stories are almost always presented from a perspective that suggests no moral ambiguity is reasonable. There is no grey area when considering the enemy. They are bad, we are good and we must kill them before they destroy everything we love. 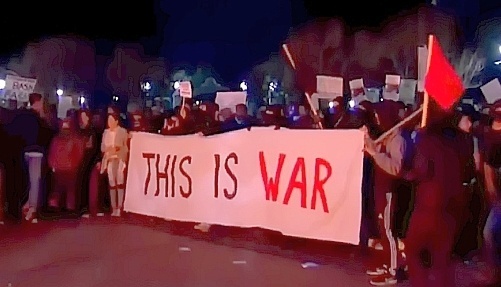 AntiFa riots at Berkely, protesting a gay conservative speaker. This idea is found so often among twenty-something activists today that I have come to suspect they now view themselves as one of those grand heroes of their childhood, struggling in their own story against a hopeless and unforgivable evil. An evil where only one outcome is permissible. It’s only natural, then, that they compare all evils in their world to Hitler. He is, after all, the historical character they know of that comes close to being a children’s story villain. Of course, the truth is that very few historical characters and conflicts have been so lacking in ambiguity. World War 2 and the American Civil War probably come the closest and even those aren’t as straightforward as we’re often led to believe once we take a well-rounded view of the political, social, and economic situations that led to them. It's true that morally unambiguous kids stories existed when I was a child way back in the 1970s, and long before, but not in anywhere near the same volume or pervasiveness as in the current era. However, to see what I mean about polarization in stories, let’s consider a science fiction classic, and a very much loved story from my childhood — Star Wars: A New Hope. In Star Wars: A New Hope, we are taught, through the storytelling and cinematics, to care deeply for a handful of people struggling against the only government they have ever known (that’s not precisely true for Han, but close). 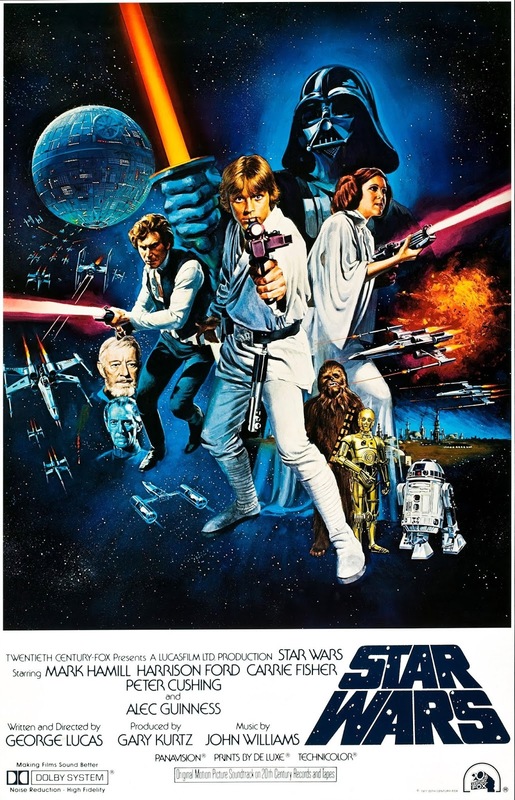 Luke is taught by ‘that crazy old wizard’ Obi Wan Kenobi that things were better in the old days, while Leia was trained almost from birth to be a social activist struggling against a corrupt system. Han essentially represents the everyman who doesn’t much care either way but finds himself roped into helping one side through love and friendship (throughout the movies, he expresses no ideals on the Empire or Republic). We are taught to care about each and every challenge and setback this handful of characters face. We’re fearful for them when they’re shot at, we’re frightened for them when they’re cornered or double-crossed, we feel with them when they love. We also cheer them on as they slaughter countless numbers of faceless opponents, most of whom don’t even shoot first. Even worse, we’re encouraged to feel a great swell of satisfaction as millions perish when they destroy a space station the size of a small moon. How many of those millions were just civil servants filing paperwork, managing the finances, cooking meals, or doing maintenance on the coffee machines? When considering the sheer number of lives lost, the horror is almost overwhelming, yet we’re expected to feel happiness and the thrill of accomplishment at the victory of our heroes. The only Stormtrooper we've ever seen the face of. 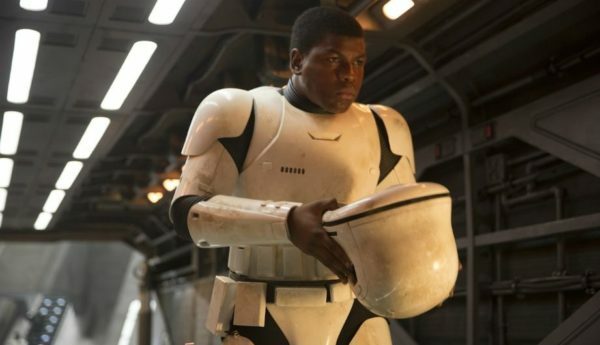 Even in The Force Awakens, where we are given a glimpse into the humanity of one of the faceless soldiers — Finn — he immediately turns on his former comrades and begins killing the very people whose death he mourned short hours earlier. Lest you think ‘well, the Empire is bad and deserves to be destroyed, that’s a no-brainer’ I ask that you consider more closely what we actually see regarding the political structures in the movies. The Empire seems harsh, but is it any worse than the Republic to the average person? The Republic and the Jedi seem peaceful and kind, but then why do they wear weapons, use mind control techniques, and horde the knowledge of the universe in their archives? I’ll further ask you to consider that, much as in our own lives, we generally believe as we do because someone else has convinced us it’s the ‘right’ belief. We learn to appreciate the perspective of the storyteller. Both Supercarlin Brothers (The Jedi are Evil) and Screen Rant (10 Star Wars Facts that will Make You Rethink the Dark Side!) have interesting videos on YouTube that may convince you of an entirely different perspective on the seemingly simple good vs evil divide in Star Wars. So, when we inundate children with stories that suggest it’s not only acceptable, but almost a moral imperative to utterly destroy those with an opposing perspective or needs and desires we don't understand, how else do we expect our kids to grow up? Especially considering that, now in their twenties and fresh, impressionable adults, they’re being taught in too many modern universities to frame arguments as 'us vs them' and that ‘them’ and ‘their opinions’ are a physical threat to 'our' existence. Is it any wonder that such people not only have a heavily polarized view of the world but also regularly use violence to stop those with opposing views? Edwin H Rydberg is a science fiction author and futurist. I recently watched the premier of Peter Jackson's ‘ They Shall Not Grow Old’ live streamed to our local Odeon. It is an amazing film that makes the record of the war suddenly contemporary. It is wonderful and devastating. I am not qualified to talk about the war, its dehumanising violence or its vivid intensity, but I was very interested in the preamble to the film. Someone whose name now eludes me, talks about Peter Jackson allowing us to borrow the eyes of the protagonists in that war. It is true we see every film’s story through its director’s eyes just as we see every novel’s story through the eyes of its writer. It is not an original or even a particularly profound thought, but it does go to the heart of what I love about the arts. To borrow the perceptions and thoughts of someone else, however briefly, is the most amazing gift. 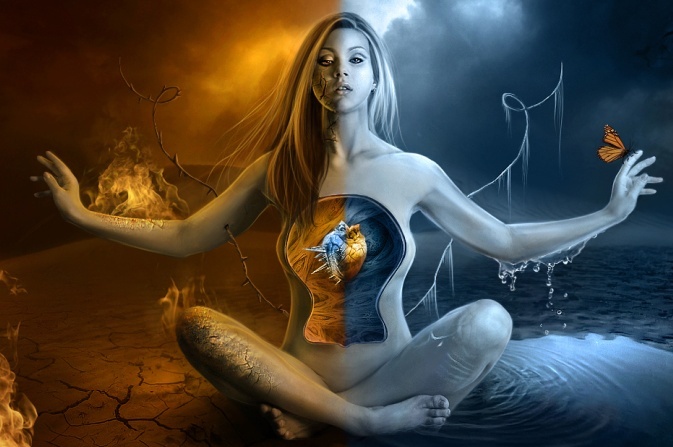 It shows us both our differences from others and our essential commonality. When I was a child in a small northern provincial town, novels which showed me the world through others’ eyes both informed and reassured me. They revealed something about how other people apprehended the world, what it felt like to be someone else and that both excited and validated my own perceptions (as real life in the playground never did.) Yes, I was a bit weird but there were other weirdos out there. It is hardly surprising that so many of my friendships derive from a shared love of certain books: a shared experienced of a world seen through some much loved author's eyes, that makes us in some fundamental way fellow travellers who have traversed an imagined, but psychologically real, fictional landscape. One of the most satisfying and terrifying things about being a writer is the awareness that anyone who has read your books has had access to your own real, unmediated self. Whatever we write about - and I never write about my life - it is my view of the world that is there on the page, my understanding of people, my sensory perceptions, my philosophy, my world. I am also aware that when, as a teacher, I critique another’s work what I am doing is nothing less than lending them my critical vision. Like all teachers I offer a student the disorienting out of body experience which allows them to see their own writing through another individual’s eyes. At its best that can be illuminating and transformative. I know because it has happened to me. Someone else’s response can flood your brain with new understanding, offer a sharper, brighter light which allows you to see your own work in an entirely different way. Ever after you will carry their insights with you, their critical vision a lens through which all your work is refracted. I have critiqued a lot of work in my time, taught a fair few students and nothing gives me greater pleasure than to hear of their success. 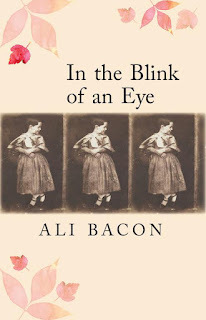 Recently, I have heard from three now successful, about-to-be -published writers and nothing makes me feel prouder than to think that lending them my eyes has helped them in their writing careers. 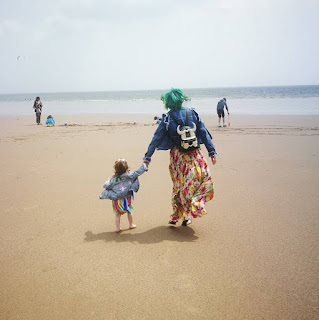 So, this blog post is for them and for the many people whose eyes I have borrowed over the years. To my former students, good luck, and to my own teachers, editors, and friends, thanks for the loan of your critical, occasionally devastating, but always honest and discriminating vision. The 2018 Booker Prize winner is an inspiring case study for all writers hoping to earn a living from literary fiction. 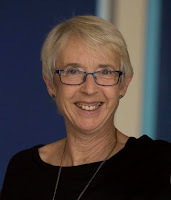 Anna Burns has published three novels over the last eighteen years, all of which have been taken seriously by critics, put in for literary prizes and so forth. Her latest, Milkman, was published by Faber, one of the most prestigious names in independent publishing, and is the one which has taken home the Booker. In interviews, Anna has very charmingly explained how grateful she is for the prize money, (£52,500 in total), because it means she can come off welfare benefits and will not have to pay any more visits to the food banks of East Sussex. It is just the sort of fairy tale that the media like, with the same mythical ring to it as the story of J.K. Rowling having to sit in coffee shops to write Harry Potter. We all love a story of rags to riches and hard work eventually being justly rewarded. Folks such as the Society of Authors and ALCS have also been pointing out recently just how tough things are for writers at the moment, with average earnings coming out somewhere around half the minimum wage, and Anna’s former plight illustrates this problem perfectly. There is also, however, some evidence that the literary world is its own worst enemy. The chairman of the judges on the Booker panel has been repeatedly quoted as saying that Milkman is “not an easy read”, which may add to the appeal of the book for a small proportion of the population but is bound to put off many more. He went on to add that he didn’t find it hard personally because he is a man who is used to reading the Journal of Philosophy. I have downloaded the book and it is a wonderful read as far as I have got. It’s possible that it will get "harder" later, but I doubt it. If you like your sentences Dan-Brown-short then it might not be to your taste, but it seems to me to be beautiful, fluid and original writing which I would happily recommend to anyone, even those who would probably prefer to bypass the Journal of Philosophy should they come across it in their dentist’s waiting room. Pure good fortune has meant that the book has coincided with the #MeToo Movement taking a firm grip on global attention, which has further helped to make it sound like a tempting, topical read. Faber have reported that they are now printing up hundreds of thousands of copies and I very much hope that readers all over the world will be recommending this book to everyone they know. I would like to see Miss Burns lavished with obscene sums of money, (although I’m guessing her work might not have quite the same merchandising potential as Miss Rowling’s), to reward her for her patience, her faith and the enormous charm with which she fielded impertinent questions from the media. She is a beacon of hope for us all, like the lottery winner who keeps the rest of world buying tickets. Trengannu looks nothing like Kuala Lumpur ... or Chicago. No soaring paean in glass and steel to touch the sky; instead, on the way to the airport, three mosques line a rivers edge. My taxi driver is aged -- I wonder whether to address him as Pak or Encik – I also want to ask him why three mosques in such close proximity? But I don’t. My Malay is rusty, and this is the Malaysian Islamic belt. Not a single Malay woman I see at the Pasar Besar (Big Market), a thriving place of commerce dominated by female proprietors, has her head uncovered. 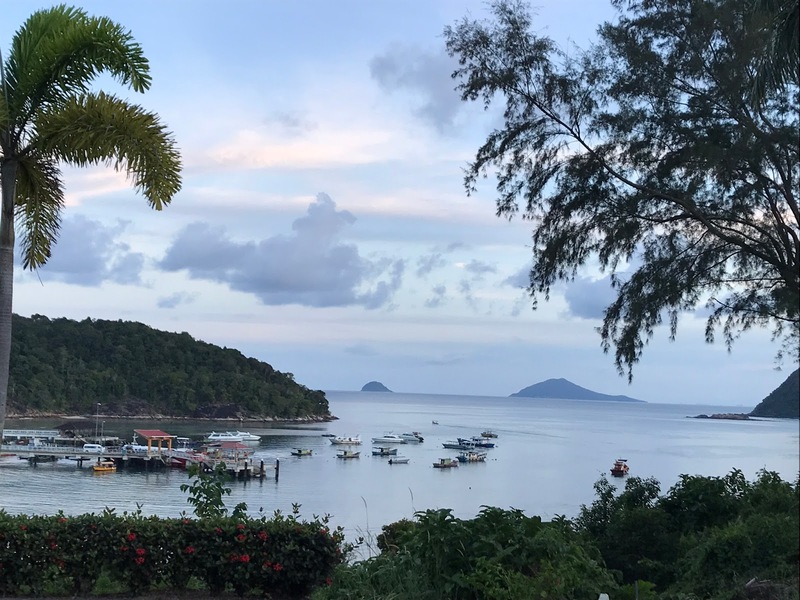 When I reach the island of Redang, nestled within the South China Sea, the Malay women at the resort are covered head to ankle and I wonder about the impropriety of my uncovered knees. But this is traditional Malaysia, and there a genteel civility that stretches back to a culture of courtly adat, and this community still takes seriously the sin of being kurang ajar (ill bred)...they will not be discourteous to a guest on their shores. I have come to Redang Island in the monsoons; I am alone, and I have come to write. On my second day, I find myself the only overnight resident in this sprawling property although in the morning, the place is made lively by the chatter of a family of monkeys. 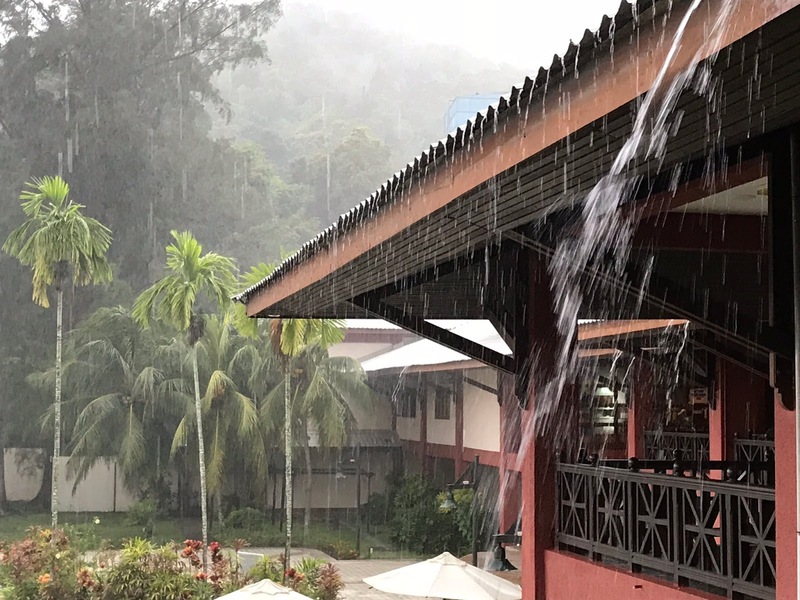 There is a musical quality to monsoon seasons; this is a time I miss most in Chicago. There is electricity in the air before the skies darken, then the breeze rustles through palm trees and the jacaranda as leaves and flowers twirl through the air. 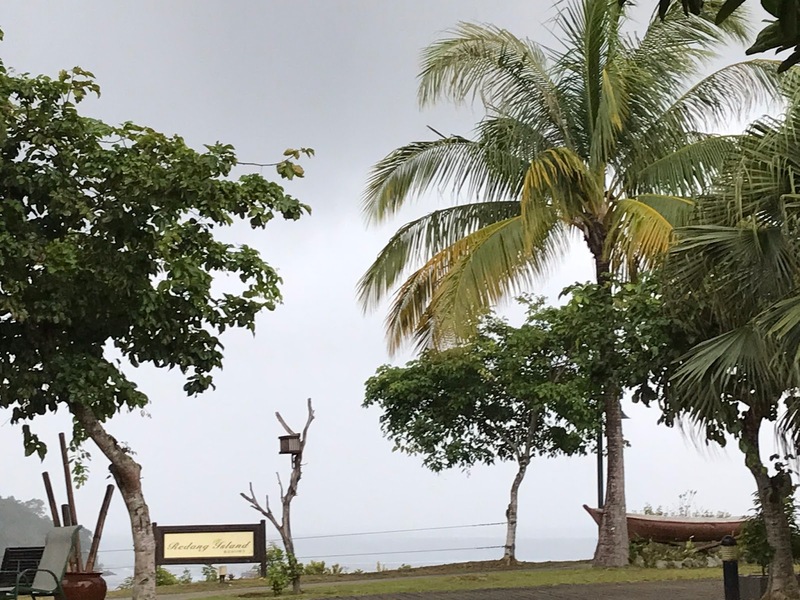 There is the chirp and tok-tok-tok of frenzied insects and leaping frogs and then the air swirls to a fog of water, bursting through the skies with a welcome breath of cool. For a writer, nature unleashed can be most inspiring. I am here for a long nine-days –a mini-residency to myself—because when our boys were very young, we bought this time-share in Berjaya resorts, a company that has properties around the islands of Malaysia. This is not my first trip to Redang Island, but I hope it will be my most inspirational. As women, we spend so much time nurturing our ties and creating new life, that the life of the mind is often stalled during the child-nurturing years. It feels like freedom to be at an age where I can travel alone, and enjoy the solitude. 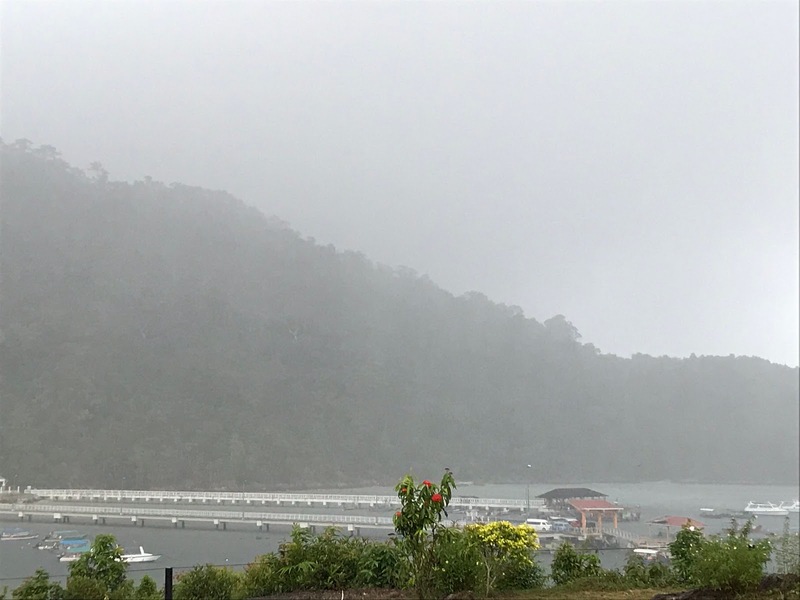 It is never easy; even here, in Redang, the ferry-ticket seller, the shuttle bus driver, the resort receptionist, all ask, with a mix of pity and wonder, if I am travelling alone. When the taxi driver questions me about my kawan, I think the question is phrased as do you not have any friends? but then I realise it is my poor translation making this lovely man more toxic than he intends. I have a partner of 30 years whom I dearly love, but not always while travelling. He is the kind of traveller who wants to see every sight there is to see, to awake at dawn to catch the first burst of light from trek-able hills at sunrise. I prefer to sip from a cup in cafes, taking in the local life as it passes intriguingly by. In Bhutan, he climbed the Tigers Nest, while I sat at the entrance, playing with two charming girls, an experience I later wrote into poetry. on the back of his woman tiger. human babble jostling in amity. I want them to win. Solo travel encourages me to stop and wander...and craft that experience with words. It was my mother, after our worst fight, who let me give myself the permission to travel solo. In Kolkata, we spat bitterly over something that now feels inconsequential, but at that time, I took umbrage. I, who was supposed to stay on in Kolkata for another week, flew to Varanasi, the closest place I could think of at such short notice. Of course, I had been on solo trips before, but they were academic conferences in places as far-flung as Lancaster and Cancun and Evora, where lectures on new discoveries in linguistics left little free time for networking over coffee meetings and mayoral receptions. Writing residencies came similarly prearranged, with artist statements outlining the time allocated against number of words to be written. In Varanasi, for my first accidental solo travel, I checked into a hotel and literally did not know what to do next. Varanasi is an ancient city, one of the oldest living cities on our planet. It unfurled to take in my rage and my grief and my childish petulance. I came to Varanasi incensed at the pettiness of our mother-daughter quarrel at a time when my father-in-law was seriously ill and a young nephew had been diagnosed with a debilitating disease. And in the morning calm of Varanasi, on a boat ride on the Ganges, the banks erupted in AchyutamKeshavam, my father in law’s favourite bhajan, and one that I had mistaken as largely restricted to the Tamil speaking population in Malaysia. Hearing this bhajan being sung by a group of singers at dawn – Benaras has some of the oldest musical gharanas of India— felt like an epiphany. I felt that I was being told my father-in-law would survive, as indeed he did, for nine more years. Varanasi – in so many ways-- taught me to stop and revel in the pleasures of being alone. I stopped at the traditional shakahari restaurants suggested by my rickshaw driver, went into an ancient shiv shrine next to the burning ghat, spoke at length to the artist at a gallery exhibition at the Benaras Hindu University. And I fell in love with this city that had taught generations about death and life and how nothing is ever truly gone. 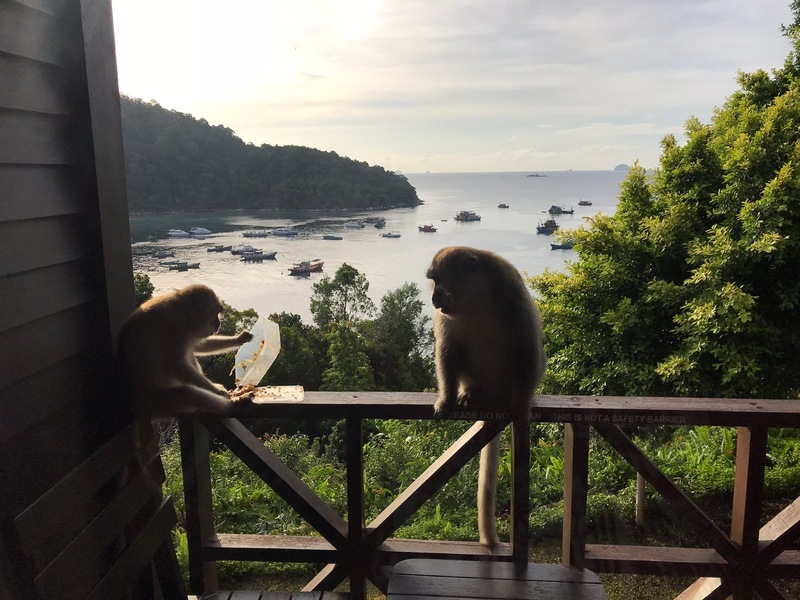 Now I travel alone at least once a year, allowing myself these mini-residencies such as the one in Redang. Sometimes I set out to look for the Dalai Lama and find the universe instead. Sometimes it helps to be able to communicate in English and Bengali and Hindi and Malay – some of the most widely spoken languages in the world – but as Bhutan once taught me, our deepest communications can be through silence and the playfulness of our shared humanity. Dipika Mukherjee is an internationally touring writer, sociolinguist, and global nomad. More here. Recently Amazon informed me, and you, and everyone who self-publishes, that they were closing their paperback arm, CreateSpace and shifting everything to Kindle Desktop Publishing (KDP) their original self-publishing operation, which, when it began, published only e-books. We were given the option of waiting for Amazon to move all our paperback books over to KDP for us or moving them ourselves. I opted to move my books myself. Since they were going to be moved anyway, why wait? The move was easy enough, unlike most moves, and it's quite convenient to have the paperback and e-book files for each book side by side on the same site but I can't say that I'm entirely happy about this development. I know a lot of others aren't either. Of course, everyone always grumbles about change but is there more to it than that? Why couldn't they have moved things the other way and shunted all the e-books over to CreateSpace? One reason, I suppose, is that KDP pays out every 60 days, instead of every 30, so more time for Amazon to sit on the money. Apart from that, almost everything about the KDP site is harder to use and clunkier than Createspace. I found C/S so easy to use, I used to make the paperback first and then move it to KDP. This, despite the fact that I began making e-books and was slow to self-publish paperbacks. For example, when you started setting up a book in C/S, you could fill in what you had -- title, your name and any illustrators -- and then save and continue. 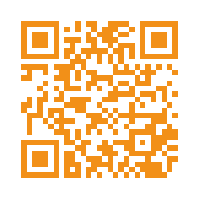 You could move forward and upload the interior files, then save that and go forward to fill in the book's description. Later, you could come back and add the cover. Or, indeed, the other way round. With KDP, you have to fill in every page as you go, or it won't allow you to move forward. 'Fix these errors,' it says bossily. It was fine by CreateSpace if you didn't quite have your cover ready but wanted to get the book's 'description' written instead. Just save what you'd done and go ahead. Come back and do the cover later. You could skip backwards and forwards as you liked. Has anyone tried using the KDP cover designer and can say how good that is? I found the off-the-peg covers from CreateSpace poor stuff, but they did supply a cover that allowed you to upload your own design. Once you'd calculated your spine width, it was pretty easy to upload a jpeg. The KDP site insists on your own cover being uploaded as a 'cover-ready' PDF. 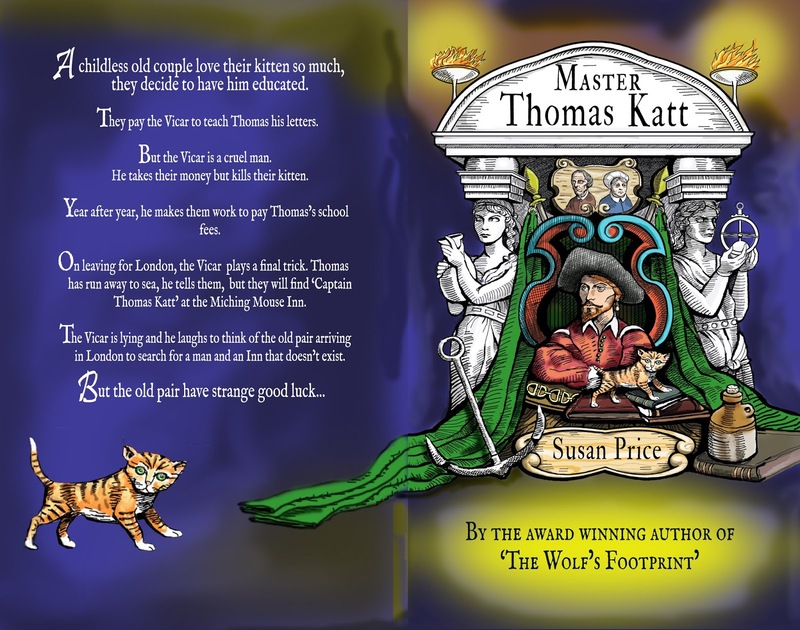 Okay -- my latest cover, for Master Thomas Katt, was made in Photoshop and it was possible to save it as a PDF and upload it. Whereupon KDP said it was the wrong size. How come? It was a 5 x 8 book and I'd made the cover that size in Photoshop, as I'd always done for CreateSpace. I allowed a half-inch all round for 'live matter.' I used CreateSpace's formula for calculating the spine width. But KDP claimed it was a tiny fraction of an inch out and rejected it. They did tell me the size they wanted and it was but the work of a moment to resize it in Photoshop and upload it again -- when it was accepted. But it did take that extra moment and it was annoying. Why scrap the C/S cover designer which worked perfectly well, with less trouble? And then the 'Reports' page. When I wanted to know how much Ammie was going to pay me, I went to CreateSpace. Their Reports page was simple, easy to navigate and understand. Most of the time I didn't bother with KDP because, well, it wasn't any of those things. And I always earned more from C/S anyway. Now all my reports are to be found on the KDP Reports page, which continues its tradition of being clunky and difficult to use. It's crammed with so much information about all Amazon's different ways of selling and lending that, I find, it makes my head hurt. Do others, more numerate than me, find it a joy to use? CreateSpace used to allow us to use 'limited HTML' in our descriptions. We could add a blank line at the top, so our description wasn't crushed up to the usual Amazon stuff on the webpage. We could space out our paragraphs, so they looked better and were easier to read. We could add italics. Everything all crushed up in one dense, square block with no separation from Amazon's stuff about delivery. And then there's producing the e-book. For ages, as you reached the end of making a paperback with CreateSpace, it offered to turn your book into an e-book for you. It wasn't, to begin with, very good at it. I usually did the e-book files myself. Lately, though, the CreateSpace efforts had been much better. At least, I thought, now everything's on KDP, it'll be a doddle to turn the paperback into an ebook. I'll just click the button labelled 'make an e-book' and it'll all be done for me. Er, no. It seems I have to do everything myself, just as in the olden days. And the kindle cover has to be a jpeg, not the PDF insisted on for the paperback. When I saw the offer of a proof copy for £1-70 I thought -- naively as it turns out -- "Oh, well here's an improvement." It looked as if Amazon had sorted out its proof copies. Order it here, it said, and pay for it through your account. Instead of having to send for a proof copy from America, with expensive post and packaging, here was one for £1-70. And I have Prime on my account, so next day delivery with no extra postage charge. Happy days, I thought. Nowhere -- I looked, I searched every corner of the screen -- did it mention any charge above that £1-70. Two weeks later, Amazon notified me that the book had been dispatched, so it's certainly not next day delivery. And they're charging me over £7! I should have known better. I shall go back to my former practice (unless Amazon have blocked it) of refusing the proof, publishing at cost, and then buying a copy. It works out much cheaper and is quicker. All in all, I think Amazon are paying us less frequently for a worse service. I've followed British politics for decades - often with mixed feelings and complex opinions. The House of Commons shenanigans seem to veer from comically farcical set-pieces (Prime Minister's Questions) to the momentously important ... dare I mention it ... Brexit. This is not the place to explore the rights and wrongs of any decisions. But I have, as a writer, been intrigued by the process - and what we can learn from it. undeterred, the Prime Minister presses ahead, she has a strategy, it will be fine. crisis: it will not be fine, members of her cabinet resign. resolution: the Prime Minister rallies, appoints new ministers, it will all be fine. Into the final negotiations. The stakes are high - for both sides. Talks succeed, there is a compromise that pleases no one but avoids the apocalypse. Is there room in all that for a second referendum? And please - no dystopian Act Four. I don't write dystopia. Or even political fiction. But you'll have to The Planter's Daughter to see if it conforms to a three-act structure. My travel writing, given that it's non-fiction, can take you anyway. Check out my website for more about the travel. We have reached the halfway point of my Self-Publishing Countdown. It being October 23, we are also about a week away from Halloween, so it seems appropriate this month to look at a self-published Lovecraftian horror novel. 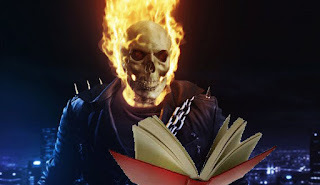 Ghost Reader wants a scary story. I love H. P. Lovecraft. I know he can be a problematic writer in many respects. His writing can be unapologetically racist in places (his descriptions of the Red Hook neighborhood of Brooklyn prove particularly offensive). His characters are often one-dimensional, and his diction often proves overly dense for a casual reader. Despite this, Lovecraft's stories of unimaginably ancient beings whose motives are so inscrutable to mere mortals that we must either go mad or perish in the face of the unassailable knowledge that we are less than nothing in the universal scheme of things are so much more horrifying to me than a simple ghost story of unrequited love or tales of the walking dead shambling across a post-apocalyptic landscape. The Dancer in the Dark is a near-perfect example of Lovecraftian, cosmic horror done well. Fuller and Strickland manage to make Lovecraft work for a modern audience. The hero of this novel is no young and fit adventurer taking on cosmic horrors with both fists and a flamethrower. In true Lovecraftian fashion, our protagonist is an elderly academic, Dr. Cletus Tremaine professor emeritus of Miskatonic University's archaeology department, who is called down to the rural North Georgia mountains to investigate a mystery surrounding some pre-historic Indian burial mounds. In many respects the story reminds me of Lovecraft's "The Dunwich Horror," centering as it does around someone's attempts to bring forth an ancient evil to reshape the world. However, this novel is more than simply a retelling in a different geographical setting. 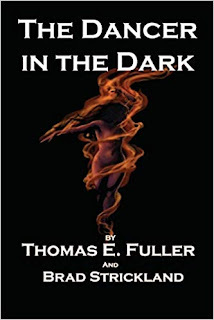 In Fuller and Strickland's hands, this story manages to take some problematic aspects of Lovecraft's fiction and make them work: Tremaine is not, for example, a one-dimensional esoterica-spouting academic. He is an aging man who, as he investigates the central mystery of the story, still struggles with the grief of losing his wife six years ago and tries to repair his strained relationship with his nephew, a fellow archaeologist and head of the team investigating the mounds. 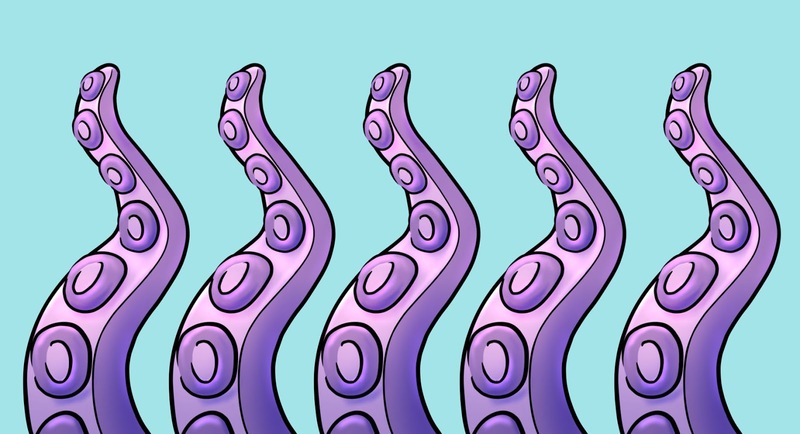 The authors also avoid falling into the ethnic and regional stereotypes Lovecraft is so often guilty of while still presenting a fair depiction of the regional differences between the New England protagonist and the Southern denizens of Blankenship, Georgia. 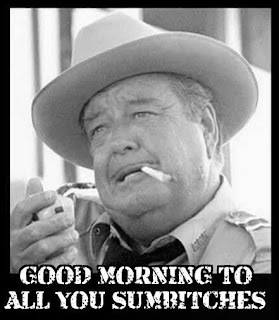 Sheriff John Bell Hood Conklin, for instance, could easily descend into the all-too-familiar caricature of Crooked Southern Sheriff (think Jackie Gleason's Sheriff Buford T. Justice from Smokey and the Bandit). Instead, the authors set you up to expect that depiction before presenting a sympathetic, honest cop stuck between equally compelling sides in his desire to investigate a series of murders with seemingly no logical solution. Their women characters, too, come across as independent and driven without contradicting the mores of the 1920's setting of the novel. Of particular note is Elizabeth Garrett, reporter for the Atlanta Constitution, who hopes her reporting of the mounds story will help her move from the society page to more prestigious assignments. The treatment of race is also noteworthy here. 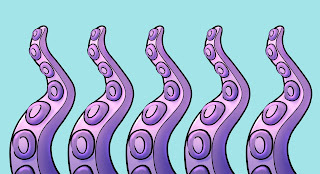 Where Lovecraft often falls into easy reliance on negative stereotypes, Fuller and Strickland rarely if ever mention a character's race directly (unless, as in the case of the Cherokee Indian John MacIntosh, it is important to the development of the plot). Their African American characters for instance are distinguished more through context than through any direct mention of ethnicity. This is done, too, without whitewashing or ignoring the problematic racial relationships of the early Twentieth-Century American South. Tremaine's apology for his carpet bag to a rail porter provides a mildly humorous example of this. However, the novel is worth reading for more than the fully developed characters. Where Lovecraft often becomes bogged down in his own narrative voice and heavy-handed attempts (especially in his earlier work) to build suspense, this story is perfectly paced, very much like a Hitchcock film: the tale moves forward in increments gradually piling on details and picking up steam until the climax brings all the threads together. Also of note is the denouement, where so many modern novels end almost immediately after the resolution of the climax, Fuller and Strickland allow the story time to unwind and reach a natural equilibrium before drawing the narrative to a satisfactory close. 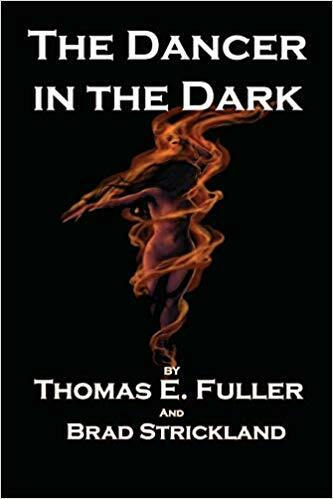 Thomas E. Fuller and Brad Strickland's The Dancer in the Dark is well worth your time. In addition to being a near perfect example of cosmic horror, it is also a well-crafted, perfectly paced supernatural mystery with a satisfying conclusion. Give it a shot; you won't be disappointed. While you read, see if you can’t find the ingeniously subtle reference to Raiders of the Lost Ark. Note: Don't let my critique of Lovecraft's shortcomings fool you. His strengths far outweigh his weaknesses. If you've not read him, give him a try. His work, too, first appeared as self-published collections. 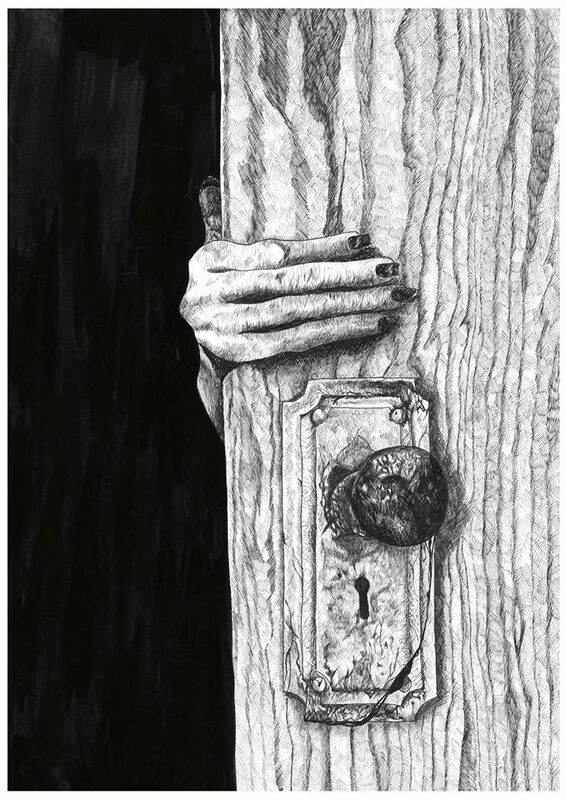 (Arkham House Publishing was originally specifically set up by his friends August Derleth and David Wandrei to publish his works in book form after his death). If you’re looking for a place to start, I have recently published a pretty good (if I say so myself) introduction to Lovecraft's work through McFarland Publishing. As a (new) writer of historical fiction I’ve taken a particular interest in this year’s Sir Walter Scott Prize and set myself the task of reading the shortlist. 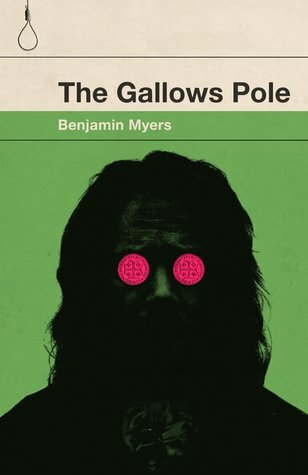 I haven’t quite got to the end, but knowing the winner is Ben Myers with The Gallows Pole, here are a few thoughts after four (out of six) very different reads. 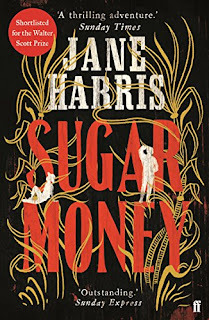 I came across Jane Harris’ Sugar Money soon after a trip to the Caribbean so was particularly interested in this 18th century Grenadan adventure story, then progressed to the newly announced winner (a very different 18th Century Yorkshire) before I got to Rachel Malik’s Miss Boston and Miss Hargreaves and most recently Manhattan Beach, by Jennifer Egan. As it happens the second two are both 20th Century so it seems reasonable to pair them by period. Despite differences of geography and style, there are similarities between the two ‘earlier’ titles (and they get a slightly longer review in this blog post) Both use a form of vernacular for at least some of the narrative and I preferred the creole patois (a fascinating linguistic confection to which I assimilated surprisingly quickly), to the more prosaic transcription of Yorkshire dialect for David Hartley’s character. Both also aspire to a basis in historical fact – which I suspect to be authentic on the case of the Gallows Pole and perhaps not so in Sugar Money. Whichever is the case I’m not sure why current historical fiction has to give us this basis in documentation (Mann Booker-nominated His Bloody Project a case in point) when I’m quite happy to read fiction as fiction!These are both highly original books with elements in each that I loved or could have done without, but I can see that Gallows Pole, with its dark intensity and closeness to the landscape has a bit more literary clout than Sugar Money (which Harris says owes its allegiance to the adventure stories of R.L. Stevenson) though I’m not sure it doesn’t score just as highly on sheer readability. Of the other two books, I again liked both in different ways. 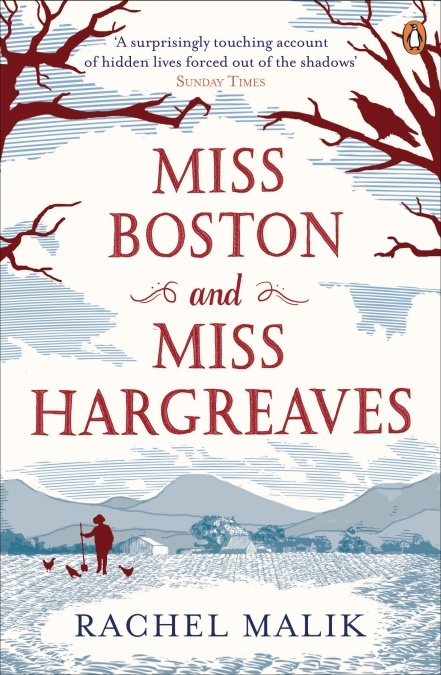 Miss Boston and Miss Hargreaves is a quietly engaging book about two women living on the land in the aftermath of WW2, apparently minding their own business until their peace is broken by a newcomer and a murder trial ensues. 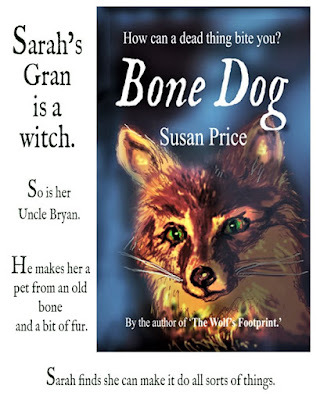 I’ve just discovered that although this is told as straight fiction, the book is based on the author’s family history and this is her attempt to weave known facts into a narrative. This may explain why a lot of what may have happened between these women is left unsaid. I liked it very much but perhaps its quietude and oblique approach worked against it in the final analysis. Manhattan Beach is different again. 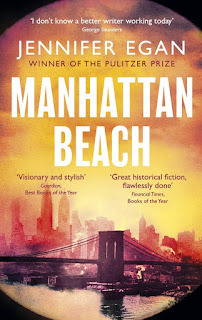 The opening scenes give us a child’s eye view of things 11 year-old Anna does not understand in her father’s (and her own) day to day life in New York of the early 1940s. We go on to meet gangland bosses and shipyard workers, divers and seamen who all play some part in World War Two while working out their own paths in life. The character of Dexter Styles, whose relationships involve old money and new, is mesmerising and when he leaves the scene the book looses a momentum that isn’t replaced. But this is still a great book on a wide canvas and all in third person, which makes it a great foil to the more intimate narratives of the previous contenders. Without having read the remaining ‘shortlistees’, I think this one is at the top of my list so far. So I still have two to read; Grace by Paul Lynch and The Wardrobe Mistress by Patrick McGrath. But it seems to me that even within one genre there is such diversity that deciding on the winner must be horrendously difficult. Here’s part of the judges' statement. ‘Judging this prize is always tough, and our 2018 shortlist was such a cornucopia of different styles, themes and historical episodes that we had our first ever hung jury and secret ballot. …. In the end, our final choice was between delicate porcelain and earthy clay, and clay triumphed." 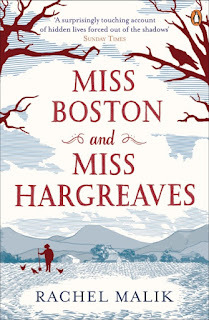 Miss Boston and Miss Hargreaves could be the porcelain and Gallows Pole most certainly the clay. But where does that leave the others? Sugar Money is strong rum I suppose; Manhattan Beach, with its great tapestry of war-time America, much more sustaining than any cocktail. 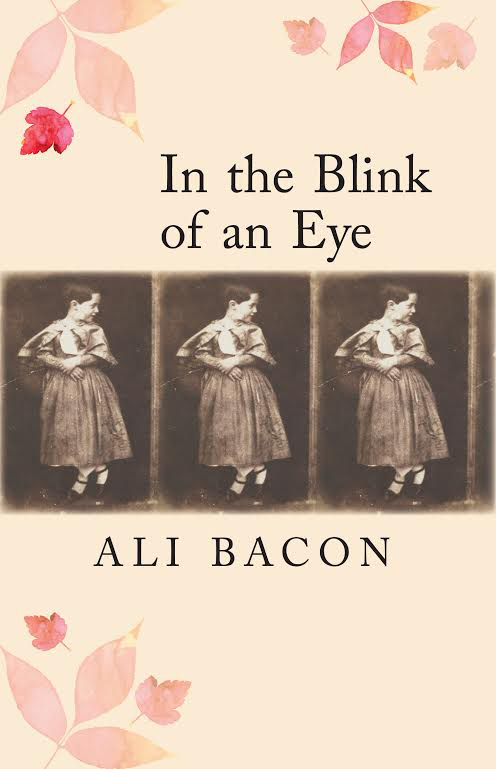 Ali Bacon's historical novel In the Blink of an Eye is set in Victorian Edinburgh. A fictional biography of artist and photographer David Octavius Hill, it tells his story through the eyes of those who knew or sat for him and has been described by reviewers as 'elegant and fascinating' and 'beautiful, accomplished and profoundly moving'. 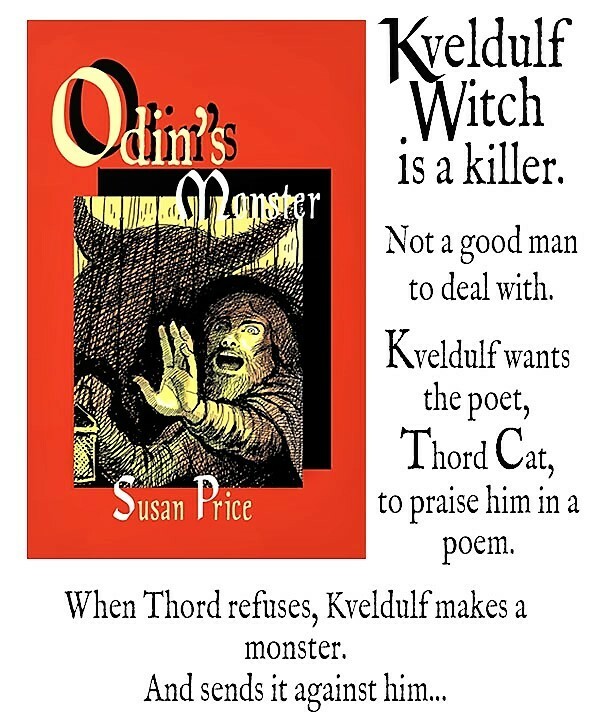 Available in ebook or paperback from Linen Press. One of the best things about writing books for young readers is when a fan of your work starts writing books as well. From her very first letter to me, after she'd enjoyed my fantasy novel Spellfall, I knew Karla Brading was a born writer, possibly even a fellow fantasy author. Many letter exchanges later (and I mean real letters, written by hand on paper and posted into one of those shiny red letterboxes you see dotted around the place), and it became obvious she was highly creative too. Then one day a package dropped through my letterbox containing Karla's first novel. A vampire book, as I remember - it still sits proudly on my shelf among my signed copies. 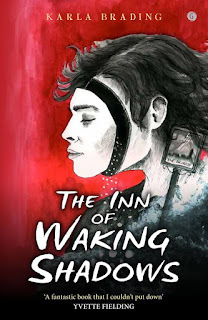 A few more years passed, and Karla now has a book deal with the highly-respected Welsh press Gomer for her latest novel The Inn of Waking Shadows, which I had the privilege of reading at proof stage on my Kindle. This one is a ghost story for teens set in a haunted pub in Wales, and it'll send shivers down your spine, whatever your age... imagine if Stephen King lived in Wales and wrote for kids, and that should give you some idea of what to expect. 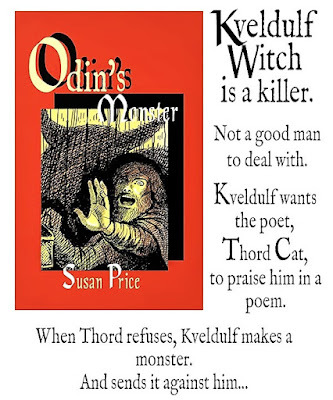 This summer I caught up with Karla, who kindly agreed to answer some questions about her writing and her artwork, a sample of which features on the cover of her new book. What was the first story you ever wrote? And which was your first book? KB: The first short story was written with my Mum’s help. She used to write down random story titles and I would go away to my room and come up with a story inspired by these titles, to proudly show her. I remember the first title clear as daylight: The Red Shoes. I envisioned a girl in a red coat with glossy Mary Janes that she wore to dance for her parents and for her friends at school, in the living room and at the park. The older I got, the more I wanted red shoes just like it! Later, after a sudden move to South Wales from Southampton, I was that little bit older (9 years old) and capable of lengthier pieces. The first story I deemed as a ‘novel’ was called Beyond Imagination. It was about a girl who could imagine anything to be true. Adventures ensued with her school friend Richard, who was a real friend of mine at the time. It amounted to thirty A4 handwritten pages but to me, it felt like I’d created something in the same ambitious calibre as The Lord of the Rings! My teacher used to let me read my earlier works out loud in class (junior school) and even allowed me to visit the nursery to read shorter pieces to the little ones. They were very encouraging. They were lucky to have you! I understand The Inn of Waking Shadows is based on a real place... have you ever been there, and how did it inspire your book? KB: That’s right! 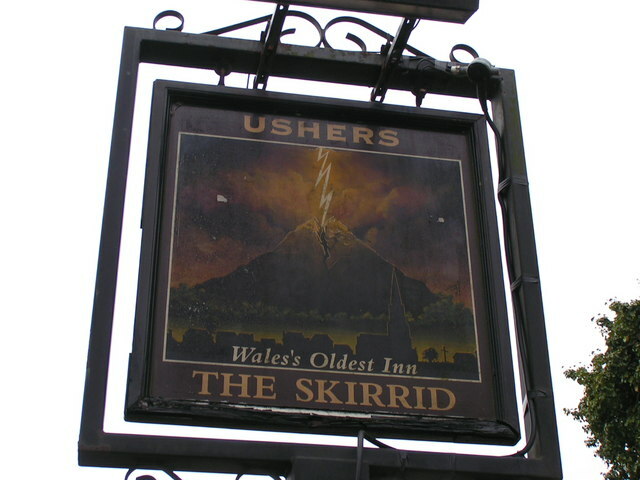 The book is based on what is allegedly ‘the most haunted pub in Wales'. It featured on a popular ghost hunting programme called 'Most Haunted' and happens to be about forty minutes from my house. 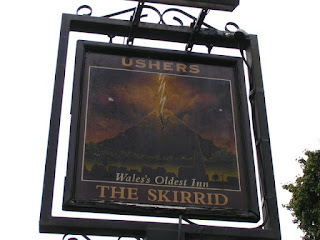 The Skirrid Inn is 900 years old and allows people to stay overnight in what was once an old court house. 182 people were hung there and the same wooden beam that the noose was tied to remains part of the furnishings. Spooky... do people really pay to stay there? KB: I have stayed overnight on two occasions now. Once for a friend’s 21st birthday, and the other time for my 30th birthday. The first time, I heard a bell ringing in the night. It deeply unsettled me but became a feature in my book. A 35 year old maid called Fanny Price died at the inn. I liked the idea of the bell summoning her, even in the afterlife. Definitely the kind of place to inspire a ghost story! But you are also a talented artist. How does your artwork tie in with your writing, and which do you enjoy most? KB: The artwork is something I find very therapeutic, whereas writing feels like my soul is desperately speaking out. It’s intoxicating – writing - creating people and worlds, knowing you’re the master of a character’s fate. Unfortunately, my past has been a very sad one and I put all my energy into creativity now, reminding myself that there’s a world of opportunity and colour. With the artwork, I can put on music and sing to my heart’s content, quickly working a paint brush over the grooves of a crisp sheet of paper. 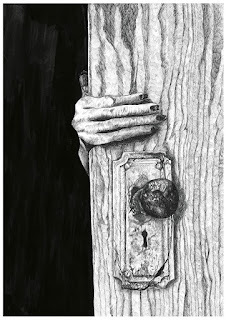 Or focus intently on the neat, tiny pencil lines that create my fine-detailed works. People can follow the progress online and be inspired and it spurs me on to create more and more when they react so positively. A lot of my artwork depicts my daughter Willow in fantastical situations. We have quite a collection. It’s become a diary without words. The writing is a different kind of art. I love the writing and painting equally, and with as much passion as my heart can bleed. I didn’t learn art in school. I knew from the age of six I wanted to be a writer no matter what, so it was all I practised and dreamed about. But delightfully, my latest novel has both my text and illustrations published in one edition. I feel truly accomplished at the moment. It's a magical feeling, I agree. Do you enjoy meeting other writers? 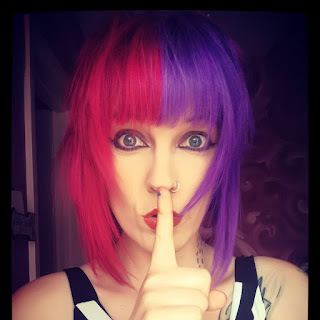 Any favourite conventions or book festivals? KB: I LOVE meeting other writers! We all have this magic at our centres: I can sense it. We see the universe that little bit differently. The simplest of moments can be transformed into a deeply relevant scene in the pages of our work. Our emotions and sensitivity tend to be heightened (as is with a lot of creative careers). I find a lot of writers hold on to the innocence and playfulness of their youth. I’ve seen a writer wave goodbye to me with loud and ridiculous gusto in the middle of London, making me laugh hysterically. 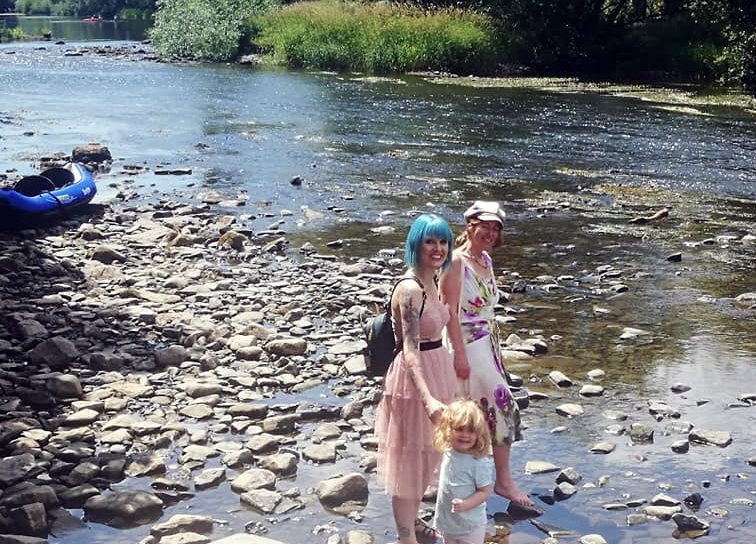 I’ve stood bare foot in a cool river, balancing upon slippery rocks with a fellow writer I truly admire; swans staring curiously nearby. I’ve seen a writer jump bollards like a ten-year-old and tackle a tree swing for an adrenaline rush. And personally, I’m no stranger to behaving like a kid, dancing in the middle of the street, or putting on silly accents and voices to draw smiles from friends. Writers just seem to know that life doesn’t have to be mundane if you turn it upside down and inside out and look at it from all angles. Writing is a special kind of gift to a world that can be difficult at times. The work can be a hard slog. The editing can be draining and invigorating all at once. But in my experience, writers are very supportive of each other. 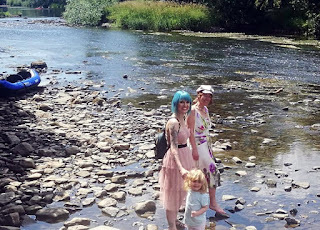 I absolutely adore going to festivals such as The Hay Literary Festival, to listen to how other authors' minds work and the process they go through when producing a novel. I always come away inspired and having made new friends and contacts. I don't know where I'd be without Hay and the opportunities it's presented me with. KR: I enjoy Hay, too, and still like to visit occasionally for a good root around in the secondhand bookshops, where you never know what you might find! Which brings me to my final question... what would you call your unicorn? KB: Oooooh. Now there’s a question. It would have to be a she for a start, because I’m all about empowered females. And if I were to own something as exotic as a unicorn, she’d have to be a lady too. I’d probably go for something like ‘Moonlight,’ because I love a dark night when the moon is bright. Or maybe ‘Stormbringer,’ because I’m convinced I was a warrior in another life. Haha! Lady Moonlight Stormbringer (everyone knows unicorns have three names) - sounds good to me. Thank you very much, Karla Brading! You can order Karla's new book from amazon or visit Gomer Press to order direct.